Today I’d like to introduce a guest blogger, David Garrison, who is a MATLAB Product Manager here at MathWorks. 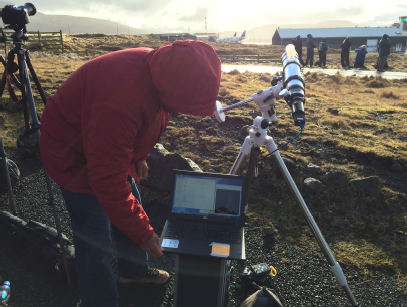 This is the first in a series of blogs over the next few months describing MathWorks involvement in an exciting project related to the 2017 solar eclipse. Part 4: Imaging the Eclipse Here is Part 1 of the Series. Here is Part 1 of the Series. As many of you know, a total solar eclipse will occur on August 21, 2017 where the path of totality will pass over the continental United States. This is a rare event. The last total eclipse visible from the U.S. occurred in February, 1979. 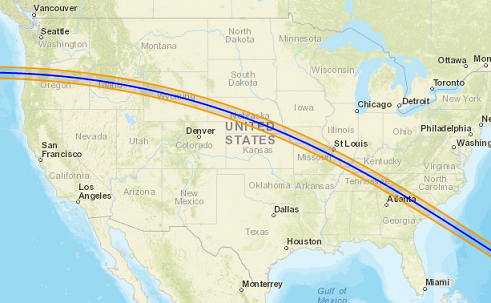 The path of totality for the 2017 eclipse is shown on the map below. For solar astronomers, a solar eclipse is the best time to observe the sun’s corona (its outer atmosphere). 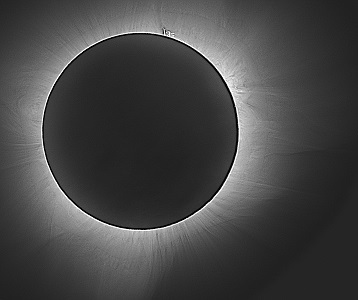 The glow of the corona is a million times less bright than the sun’s photosphere so the only time to observe and gather data on the corona is when the sun’s disk is blocked out during an eclipse. The 2017 eclipse will provide solar astronomers an unprecedented opportunity to gather data. That data will be used for both static and dynamic studies of the corona. The CATE Experiment should unify people from coast to coast, make them aware that they are part of something bigger than themselves, re-ignite a new wave of citizen science, and inspire students by showing them a path to becoming a scientist. Volunteers will use a standard set of equipment including a telescope, camera, and laptop computer provided to them by the project. Software will be used to acquire the camera images and do some initial pre-processing of the data. 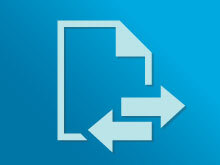 After the data is taken, it will be uploaded to NSO servers and made available to the public. 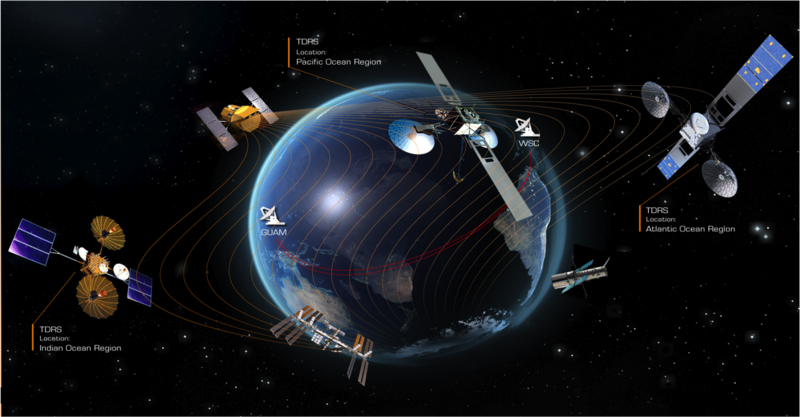 A full description of the science goals of the project can be found here. Volunteers will be trained by state coordinators in equipment use and data collection. After the eclipse, volunteers will keep the equipment or donate it to a local middle school or high school. There is interest from other researchers in using this network of volunteers to do future large scale astronomical studies. 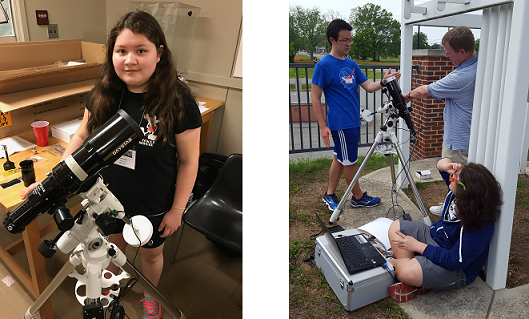 I first heard about the Citizen CATE Experiment when I attended the 2015 Northeast Astronomy Forum (NEAF) – a conference and tradeshow for amateur astronomers. Dr. Penn was one of the speakers at the conference and described his idea to create a network of citizen scientists spread out across the continental U.S. to image the eclipse. As I watched his presentation, two thoughts occurred to me. First, as an amateur astronomer, I wanted to be involved in the project as a volunteer. Second, the eclipse will be a big science event in 2017 witnessed by millions of people in the U.S. and maybe there is an opportunity for MathWorks to help. After the NEAF presentation, I submitted my name to be a project volunteer. I have been accepted and will collect data on the eclipse in Hartsville, Tennessee. Two other MathWorks staff have volunteered and will observe the eclipse from sites in South Carolina. MathWorks also agreed to be a Citizen CATE sponsor. We are providing some financial support as well as providing software for the volunteers. A full list of project sponsors can be found on the Citizen CATE website. 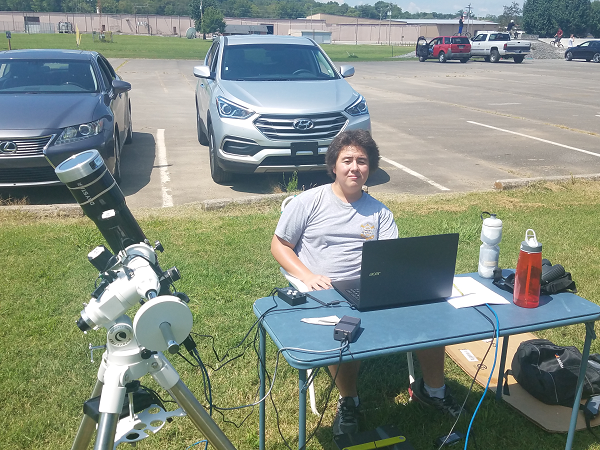 During the eclipse, volunteers will use MATLAB, the Image Acquisition Toolbox, and the Image Processing Toolbox to record and process images from the eclipse. Images will be recorded at several exposures and combined into a set of high dynamic range images of the corona. More details on that in a subsequent post. Are you planning to travel to the see the eclipse? Are there any local eclipse events in your area? We'd love to hear your plans here. That's all for now. In my next post I'll describe the equipment and software for the project and the process for training the Citizen CATE Volunteers.